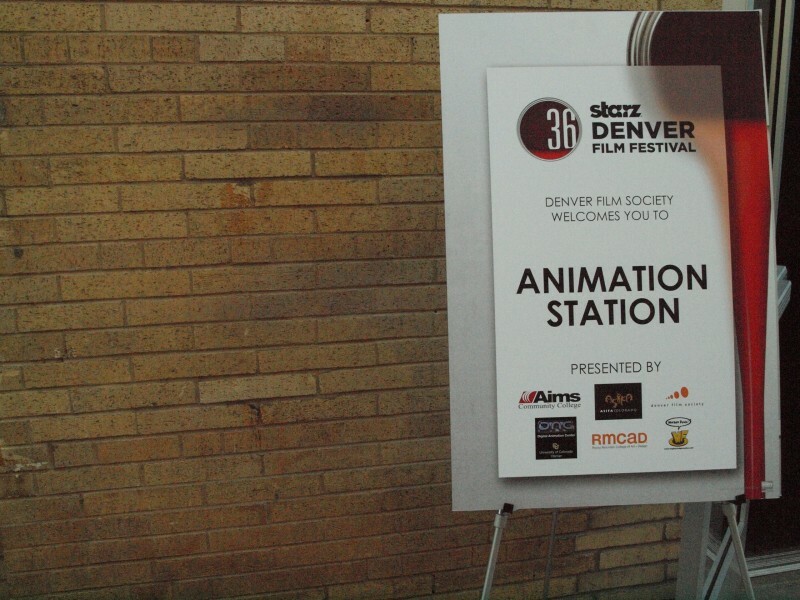 What an awesome time we had at this year’s Starz Denver Film Festival! Our Animation Station event was well attended and lots of fun. The Animation Station Workshops and Competition were presented by ASIFA-Colorado and Denver Film Society and sponsored by CU Denver Digital Animation Center, Rocky Mountain College of Art + Design, AIMS Community College, and the mighty, Mighty Fudge Studios. During the film festival, ASIFA-Colorado also presented its Best Animated Short Prize to Thomas Stellmach and Maja Oschmann of Germany for “Virtuos Virtuell”, a beautiful experimental animation timed perfectly to a composition. The press release of all winning films at the festival can be found here. The workshops were held at over the first weekend of the festival and included 2 different sessions. The morning session was open to children aged 6 to 11 years and the afternoon session was open to participants aged 12 and older. We had a lot of fun working through these animations with all the attendees. 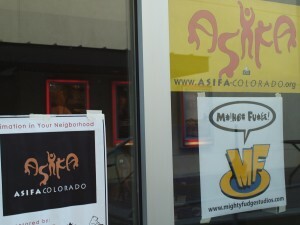 The theme of the Animation Station Competition this year was Killer Flying Robots Painting the Town Red. The participants included teams with 3 or fewer animators and the teams were given 6 hours after the theme was presented to come up with a completed animation. Thank you for a fun and animated weekend!